Thanks to their affordability and their bright, crisp notes of fresh orchard and citrus fruits, white flowers and minerals, the wines of Soave are some of Italy’s most popular whites. The 2014 and 2015 vintages are a study in contrasts, allowing a glimpse of the delightful spectrum of aromas and flavors that Soave offers. When I think of Soave the first word that comes to mind is “pretty.” The name itself is lovely, recalling “suave” as it rolls off the tongue easily. With its rolling hills, gentle slopes, charming towns, numerous standout restaurants and stately country villas, Soave is pleasing to the eye as well. Not surprisingly, all this prettiness means that the wines have been very popular for a long time, as Soave’s generally light, floral personality is readily understood by novices and experts alike. Of course, these are mostly inexpensive wines, a fact that makes them still easier to like. 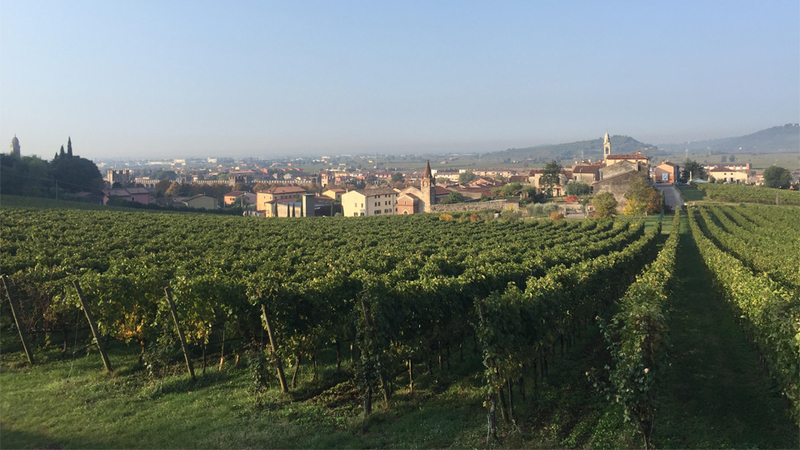 Soave is made mainly with Garganega and Trebbiano di Soave, both of which have the potential to turn Soave into something more than just a charming everyday wine. Clearly, one can see the world-class potential of Garganega and Trebbiano di Soave only when tasting the higher-end Soaves made by the region’s top producers. These are usually single-vineyard wines, a small percentage of which are barrel-fermented or aged in oak, as the delicate aromas and flavors of these two varieties can be overwhelmed by wood. So, while the factors that have made Soave a crowd favorite are easy enough to grasp, only a few producers (Pieropan, Inama, Prà, Gini, Filippi, Anselmi) really manage to pull out all the stops in order to make head-turning wines of real concentration and complexity. 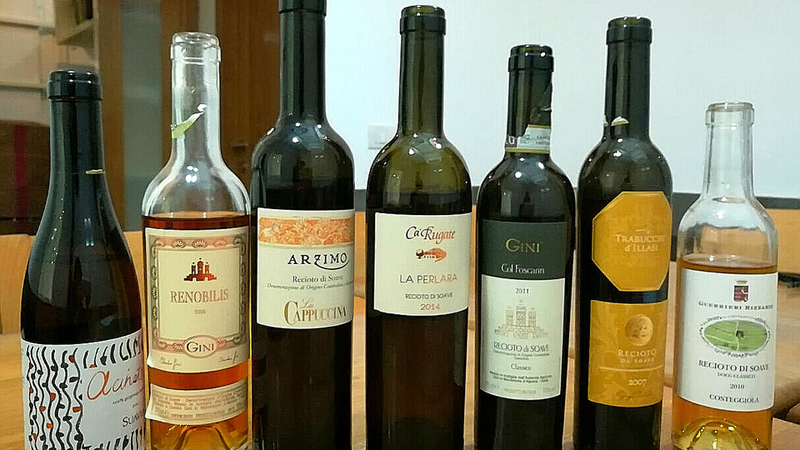 Most of today’s Soave wines are pleasant everyday quaffers but they could be much more. Soave is the name of a town and of a wine. The name Soave most likely derives from the Svevian (or Suaves) Germanic tribe that colonized this part of northeast Italy after the fall of the Western Roman Empire. The Soave production zone is located in the Veneto region, close-by the beautiful city of Verona, a viticultural area that has been famous for its wines since ancient Roman times. Already then it was considered a pagus, or specific agricultural district famous for its wines. Soave’s place in Italian wine nobility is well demonstrated by the fact that the historic production zone of Soave wines was drawn up as early as 1931. Today four Soave wines are made: two are DOC: Soave (established in 1968) and Soave Classico; while two are DOCGs: Soave Superiore (named a DOCG in 2001) and the sweet Recioto di Soave made from air-dried grapes (this DOCG dates back to 1998). The fact that Soave is one of the first DOCs to have been established in Italy speaks clearly of the reputation these wines have always enjoyed in their home market. Soave is not a small winemaking area. The DOCs Soave and Soave Classico comprise roughly 6,900 hectares (17,050 acres), and about 3,000 wine estates. Soave Classico is the area where this wine was historically first made and covers mainly the hillsides of the townships of Soave and Monteforte d'Alpone. In contrast to other famous winemaking areas of Veneto such as Valpolicella or Bardolino, it is essentially volcanic in origin, which makes for some potentially very interesting wines. In contrast to the sometimes quite steep hillsides of the Classico zone, the Soave DOC production zone is made up mainly of flatland vineyards. However, very fine wines can - and are -made in all three areas, though clearly most of the truly memorable Soave wines come from the Classico zone. Of course, for all its success, not all has gone smoothly for Soave. Over the years some mistakes have been made, from which the area and its wines are still recovering. For example, there was a strong push in the 1980s to produce a sparkling version of Soave, so Chardonnay and Pinot Bianco were planted. In 1992, these two varieties were officially included in the 30% “other grapes” (besides Garganega) that could be used in the production of Soave (because in the meantime, the sparkling wines had bombed, and so all those who had planted the new varieties needed an outlet for using them – such as, rather conveniently, still Soave). Of course, Chardonnay looked like a good idea at the time because it also provided a means by which to compensate for the general lack of body of Soave. Also, owing to the combination of the natural generosity of the Garganega variety plus lax legislative guidelines that allowed excessively high yields, the majority of Soaves were thin and neutral, and could therefore stand a little help from Chardonnay. But this quick fix provided the wrong solution to a non-existent problem, as the problem was not Garganega but its high yields. Most of Soave’s terroirs naturally push Chardonnay to yield as much as Garganega. Furthermore, adding the likes of Chardonnay to Garganega is a mistake no matter how you slice it, as the elusive aromas and flavors of the latter variety are easily overwhelmed by the former’s more powerful and easily recognizable presence. 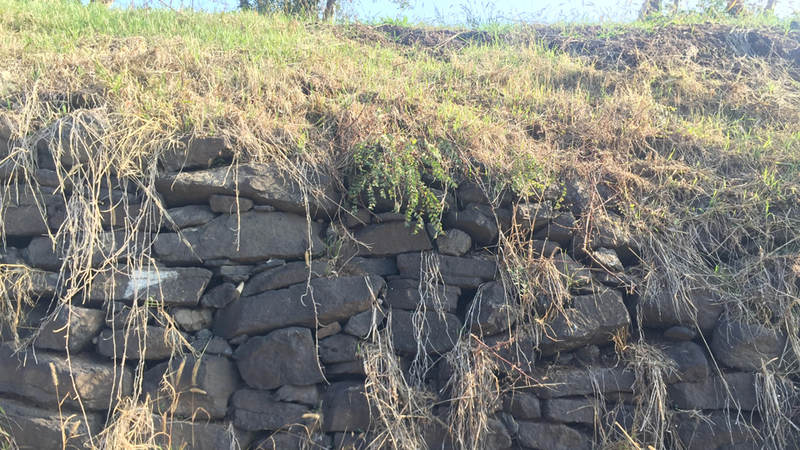 A better solution might have been the politically unpopular move of reducing Garganega yields, rather than allowing the planting of Chardonnay. In the end, Chardonnay did very little to help Soave and most of the better estates have since ripped those vines up or grafted them over to Garganega and Trebbiano di Soave. Last but not least, I need to point out that Trebbiano di Soave also ended up being victimized by the Chardonnay movement of the ‘80s and ‘90s. I can’t begin to tell you how often I have asked producers about Trebbiano di Soave over the last 20 years only to receive blank stares in return. Only a few of them even grow much of it anymore – one notable, meritorious exception being Leonildo Pieropan. Clearly, it would have been much better for everyone – producers and researchers alike – to have devoted time and energy to studying Trebbiano di Soave as well as Garganega and to have gained a better understanding of how to go about obtaining the best possible wines from both of them, rather than wasting time, money, energy and good will with ill-advised additions of Chardonnay. While even today there are few Soaves that go beyond essentially simple, lively drinks, we know from truly great Soaves (Gini’s Salvarenza Vecchie Vigne and Pieropan’s La Rocca come to mind) how complex Garganega wines can be. Such world-class Soaves offer very deep, ripe, almost luscious – but always refined – yellow orchard and tropical fruit aromas and flavors complicated by nuances of botanical herbs and minerals. Trebbiano di Soave also appears to be making a comeback, and this is only fitting, as authentic, old-vine Trebbiano di Soave (not Trebbiano Toscano) can deliver outstanding wines. After all, Trebbiano di Soave is a local biotype of Verdicchio, undeniably one of Italy’s four or five best white native grapes; it’s genetically identical to Verdicchio but as it has adapted over the centuries to a different environment, it has changed its appearance and now yields wines that are distinct from those of Verdicchio. It can’t be by accident that two of the best half dozen Soaves almost every vintage are Pieropan’s Calvarino and Pra’s Monte Grande, both of them quite rare for Soave in that they are made with 30% Trebbiano di Soave and only 70% Garganega. At least one producer, Suavia, now makes an excellent monovariety Trebbiano di Soave called Massifitti. I have no doubt that more estates will soon be following these shining examples. The townships of Soave and Monteforte d’Alpone give very different expressions of Soave, something that is especially evident in cooler years. The hills of Monteforte d’Alpone are exposed to the east, so the vines bask in the morning rather than the warmer afternoon sunshine, with the resulting wines showing more acidity and freshness, with aromas and flavors of green apple and pear, as opposed to those of Soave, which speak more of spices and flowers. As was the case elsewhere in Italy, the 2014 and 2015 vintages in the Soave production zone were polar opposites weather-wise—the first chilly and rainy, and the latter quite hot. 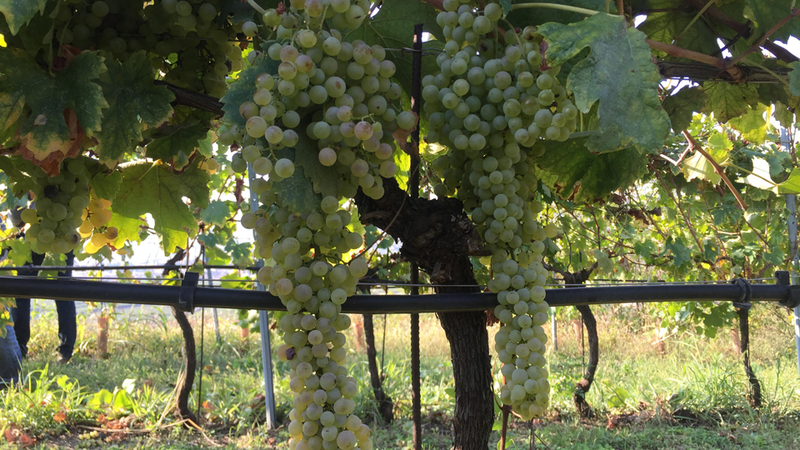 The 2014 vintage will be remembered in Soave as one of the coldest and wettest of the last few decades; conditions were not unlike those in 2002 and 2005. While the spring was quite rainy, June was warmer and relatively dry, but the rain started up again at the beginning of July and lasted through August. The latter month proved to be the wettest August of the last half-century or so, with an unheard-of 25 days of precipitation. Happily, the fall season was dry and sunny and the wines have turned out remarkably well, with very high acidity levels and strong mineral presence. In general, well-drained hillsides performed best in 2014, as did Garganega, which is a hardier, more adaptable cultivar than Trebbiano di Soave. By contrast, the 2015 vintage was hotter and drier, especially from June onward. While spring was characterized by alternating very hot and cooler rainy days, summer was marked by heat waves that resulted in water stress in many vineyards. Overall, the 2015 Soaves are showier than those of 2014, and are characterized more by aromas and flavors of ripe yellow fruits than by minerality. I tasted the wines in this article in April and May 2017.